I found this to be a lush, captivating read, with flawed (and I mean VERY FLAWED) main characters and a brilliantly woven dark fantasy world. Judging from the ratings and reviews, however, I believe I’m in the minority? Apparently, this book was heavily publicized, but I wasn’t aware of the hype at all, which may have led me to judge the book more favorably when I finished reading it. First off, the author’s portrayal of the Hinterlands was incredibly mesmerizing, and I found myself completely sucked into the story. I have an enormous soft spot for fairy tale retellings, and I’m honestly in awe of the author’s imagination because WOW, that was creative. Growing up watching Disney classics like Cinderella and Sleeping Beauty, it’s easy for me to forget that traditional fairy tales are very, very violent and more than a little disturbing. In Albert’s book, at least, these fairy tales go even further beyond the bloodiness of the original Grimm’s Fairytales. They’re honestly more like horror stories than anything you’d read to children at bedtime (unless your goal is to give them nightmares). Albert’s writing style may be a hit-or-miss for some readers, but it is TOTALLY right down my alley. You can’t deny that she definitely has talent—her writing flows beautifully, with that deliciously dark, twisted fantasy vibe I that I can’t get enough of. I personally tore through the book in the matter of a day—I was so engrossed in the creepy little world the author had created, that I couldn’t bring myself to put it down for more than thirty minutes. One of my favorite parts of the story was definitely the short “Hinterland” fairy tales, which sent shivers down my spine. They were all delightfully disturbing (and I would 1000% buy that book if it ever came out). Now, let me just say: FINCH. Poor little Finch. He was such a sweetheart, and probably my favorite character in the book? (I just have this enormous soft spot for delicate little boys who just want to be loved.) Of course, there was definitely something immediately shady about his character. Throughout the story, you can tell that the author was really, really trying to emphasize that there was something “off” about him, a puppy-like eagerness that didn’t quite sit right with his true motives. *However, I am definitely to more discussion regarding her character, and I would love to hear your thoughts on how she was portrayed/how she resonated with other readers! Overall, I would recommend that you pick up The Hazel Wood if you love fairy tales with a twist. (A very disturbing twist, at that.) It may not be for everyone, but hey, you won’t know until you try out the book for yourself! Thank you to Flatiron Books for providing me with an ARC via Netgalley in exchange for an honest review! 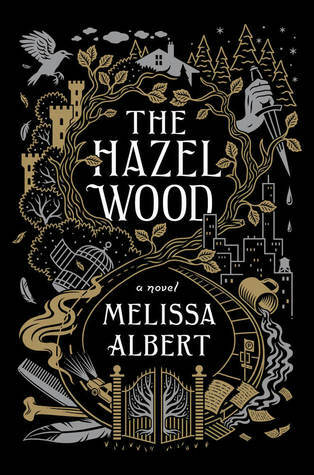 What are your opinions on “The Hazel Wood” (and on Alice)? Did you find any elements in that book problematic/questionable, or were you completely engrossed in the story? Are unlikeable protagonists an immediate turn-off for you? hehe thank you!! and I would definitely recommend that you try it out ❤ let me know how it goes!! Glad you like it, Hannah ❤ I read this a month ago and my first thought was LOOK AT THAT COVER.I loved the writing and the fairy tales but I just couldn't connect with this book.I didn't like the characters and was bored through more than half of the book.I just don't think it was for me but I am glad that you loved it. thanks, love! :)) and SO TRUE the cover is absolutely beautiful. I’m sorry you didn’t love it; I know a lot of people didn’t relate to the characters ❤ what do you think was the element that really threw you off? The way Finch was treated and I didn’t like Alice at all. thank you so much~! *sends infinite hearts* and I agree, I feel like I hold hyped books up to a higher standard so I’m more disappointed when it doesn’t turn out to be as enjoyable as I would expect. ): I also *definitely* wanted to see more of the Hinterlands because the world was so mesmerizing and dark and beautiful?? I definitely do that, but luckily there haven’t actually been too many hyped books that have disappointed me. i agree with this review so hard. the characters are…not awesome, but the world is so magical and twisted and immersive and crazy and weird! it’s like the darkest creepiest fairytale. huge fan. this review is perf!!! I’m in love with your blog! ❤ That cover is gorgeous indeed, but I agree that this book received mostly mixed and negative reviews. People are not a fan of the pacing and lack of Hitherland. I still need to read it myself to judge it though. Amazing review, Hannah! Hi Hannah! I agree on everything you said about The Hazel World especially the part that it is not quite like Alice in Wonderland. I was kinda disappointed by it but it had potential!! Your blog is fantastic and I’ll definitely read more of your reviews because with this one I could relate 100 %! thank you so much, love, that is so incredibly sweet ♡ I personally really loved the twists the author put on Alice in Wonderland, but I know a lot of other readers felt the same way as you did! I read. I review. I drink boba. I cry. Sometimes all at the same time.